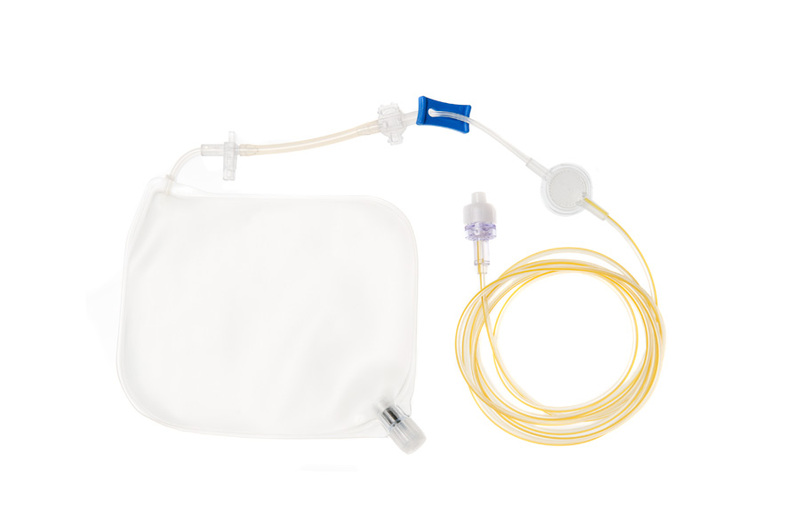 Our innovative Rythmic™ Yellow Infusion Sets contain all necessary components such as air eliminator filter, non-return and anti-siphon valve and extension line. The design of the sets improves efficiency, while reducing hazards and false alarms. Air removal during filling and priming is easy and safe. These sets are colour coded in yellow colour to prevent medication delivery error. Related Evolution pumps are also yellow colour coded. The Rythmic™ Yellow Infusion Sets are designed to be used with the appropriate Rythmic™ range pumps. Please click on the Specifications Tab on the right to see the available infusion sets and their specifications. Τo prevent various incidents of misconnections on various supply lines to patient, Micrel Medical Devices S.A has designed its own male NRFitTM neuraxial lock connector complying to ISO 80369-6:2016 for the yellow set product range of Rythmic Administration Set. Devices with this connector are not compatible with Luer connectors, preventing the risk of drugs being delivered through the wrong route. A Spike set with yellow stripped tubing, vented spike connection, pumping segment, air eliminating PES filter 0,2micron, bacteria retention and low protein binding, anti-siphon valve, 150cm length extension line and male NRFitTM Connector at the line extremity. 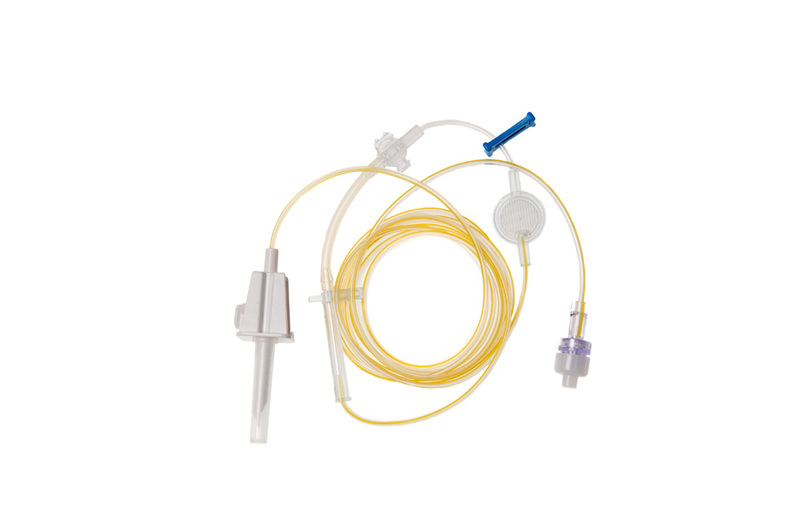 A Spike set S with yellow stripped tubing, vented spike connection, pumping segment, air eliminating PES filter 0,2micron, bacteria retention and low protein binding, anti-siphon valve, 220cm length extension line and male NRFitTM Connector at the line extremity. A Full set 200mL with yellow stripped tubing, 200ml reservoir bag, pumping segment, air eliminating PES filter 0,2micron, bacteria retention and low protein binding, anti-siphon valve, 150cm length extension line and male NRFitTM Connector at the line extremity.